Today we are going to look one of the easiest ways to make a backpack. You can crochet the base or you can knit it, there is no difference in that and the stitch you are going to use. 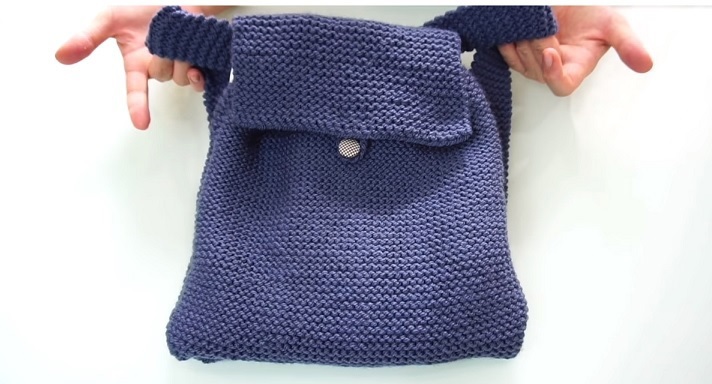 The thing in this tutorial is to learn how to shape the base so that you can fold and seem it up as a beautiful bag. The tutorial is rather easy, quite intuitive and perfectly delivered in the video format. We believe that none of our readers, who are somewhat familiar with this types of tutorials, are going to encounter any problems whatsoever during the crafting process. If this is not the case, make sure to drop a comment below and we are going to try to clear out everything for you.